Greenness Cosmetics excited to introduce its new product, the Anti-Aging Collagen Masks 3-Pack Combo. The combo pack includes a Lift Dermal Collagen mask, Black Beauty Collagen Mask, and Snow Queen Collagen Mask. These three are Greenness’s most popular collagen gel sheet masks for consumers who need the best products to keep their skin bright and smooth. The Lift Dermal Collagen Mask is created after a patented formula improved using vitamin E, collagen, hyaluronic acid, and Rose oil. All of these help to fight the visible signs of aging such as sagging skin, wrinkles, dryness, and uneven tone. The serum mask prides of an intercellular lipid delivery system, which creates instant firming and lifting effect. The Black Beauty Regenerating Facial Mask is ideal for all skin types, capable of firming, tightening, and whitening skin. The serum mask is made of vitamin E, grape seed extract, aloe extract, collagen, and hyaluronic acid. With these ingredients, the face mask can eliminate free radicals, erase fine lines, and redefine skin texture. Lastly, there is the Snow Queen Rejuvenate Facial Mask. It’s a face mask perfect for those with sensitive skin, helping it fight the signs of aging. It’s made of ingredients including aloe juice, rose oil, collagen, hyaluronic acid, and vitamin E. All these ingredients help to normalize melanin, which helps to diminish wrinkles. With all three in one pack, consumers are sure in for a complete skin rejuvenating treatment. All of the collagen gel sheet masks with included in the pack are natural, parabens-free and 100% safe. They are made using the finest quality ingredients. Greenness assures its customers that the products are free from parabens and all other synthetic components. As an all-natural beauty product, the face masks included in the pack are ideally suited for all skin types. 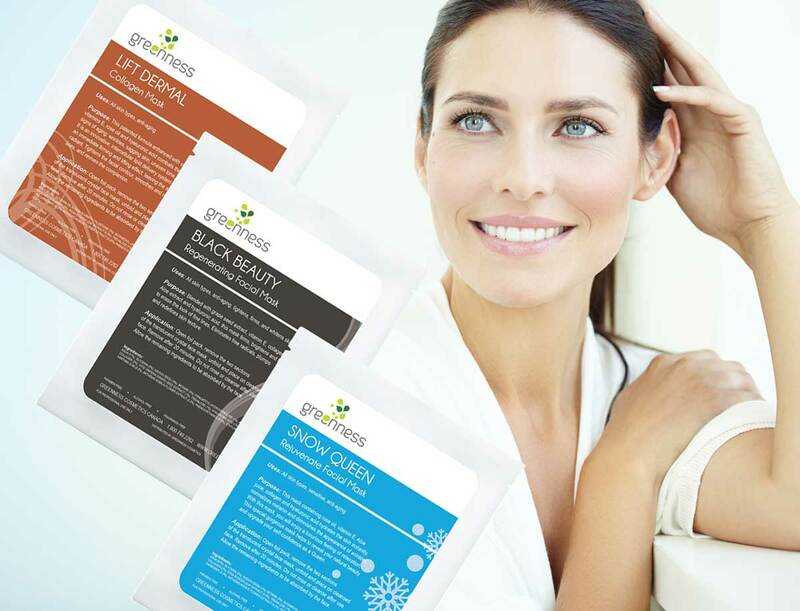 Greenness takes pride in the anti-aging masks’ unique formulation. The formula allows them to tackle signs of aging while at the same improve skin tone. This formulation also helps to restore the skin’s natural glow instantly. The face masks also work as a moisturizer, their ingredients penetrating deep into the skin cells and restoring its health. Therefore, Greenness serum collagen masks are capable of improving the body’s skin cell regeneration are quick and easy to use. Greenness made them ideal for those who have busy days and hectic schedules by only requiring 20 minutes. Within that short period, the skin is ready and prepped, glowing, soft, and smooth.